Teen mother conquers repeated adversity to earn M.D. From the age of 4, Rebecca Lopez had the odds stacked against her. She survived six years of sexual molestation by her stepfather, parenthood at age 14 and marriage to a violent abuser. But nothing could make her abandon her dream of becoming a doctor. 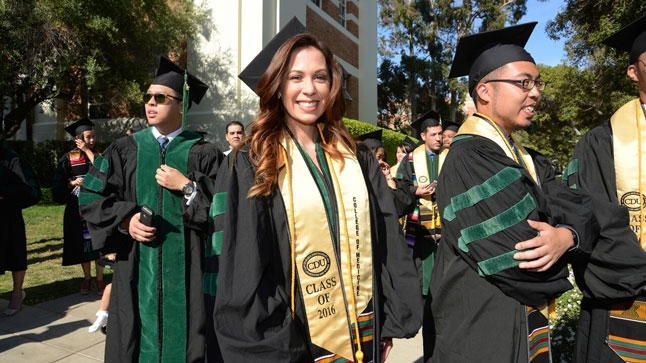 At 27, the mother of three returned to college at UCLA and was chosen for a prestigious Albert Schweitzer Fellowship while attending the Charles Drew/UCLA Medical Education Program. Her one-year fellowship project helped pregnant girls in East Los Angeles prepare for motherhood, and drew heavily on her experience as a teen parent and survivor of domestic violence. 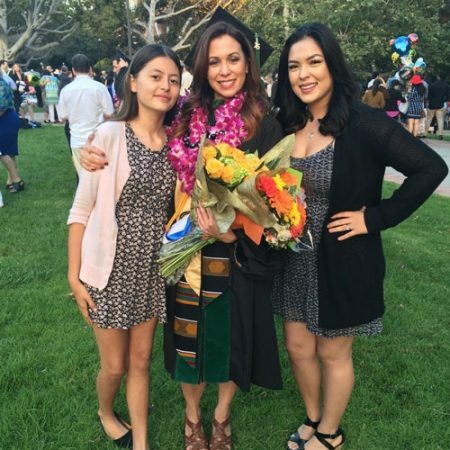 On June 3, surrounded by her beaming mom and proud daughters, the newly minted Dr. Lopez, now 37, earned her medical diploma from the David Geffen School of Medicine at UCLA. After completing a residency in family medicine at Kaiser Permanente Fontana, her goal is to inspire teen girls to follow their dreams, no matter the obstacles. Her daughters, Mya, 13; Emiko, 18; and Yvonne, 22; have taken her message to heart. Emiko graduated high school three days after Lopez took the Hippocratic Oath. She will continue her college education at UC Riverside and plans to become a physician like her mom.